You never really understand the value of a great pair of shoes until you are wearing ones that pinch, rub, or just plain hurt. You may feel like tossing them, but that can be a huge waste of money. But what good is a pair of shoes you will never wear? Take those shoes out of hiding and start wearing them with these shoe hacks for comfort. From too small to too smelly, we've got the solutions that will save you from aching feet! If your shoes are too tight, you can gently stretch them using this method. 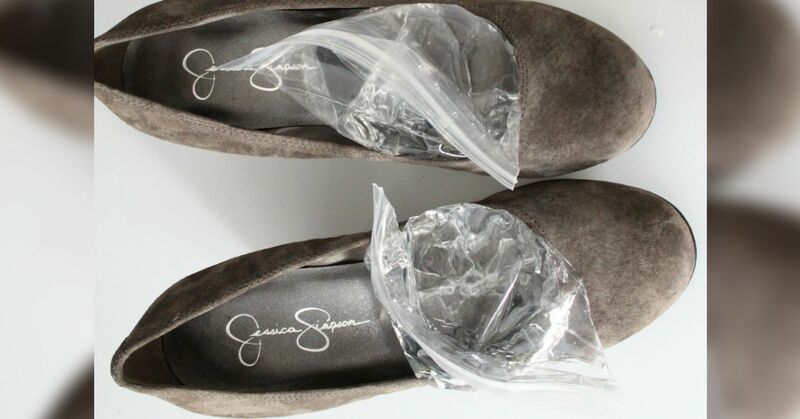 Fill a plastic zip bag with water and insert it inside the shoe. Place in the freezer. The expanding water will stretch the shoe just a bit. Remove from the freezer and pull out the bag. You can repeat a few times if necessary. A pair of heels that rub may just need a bit of shaping. You can speed the process by applying a bit of heat. 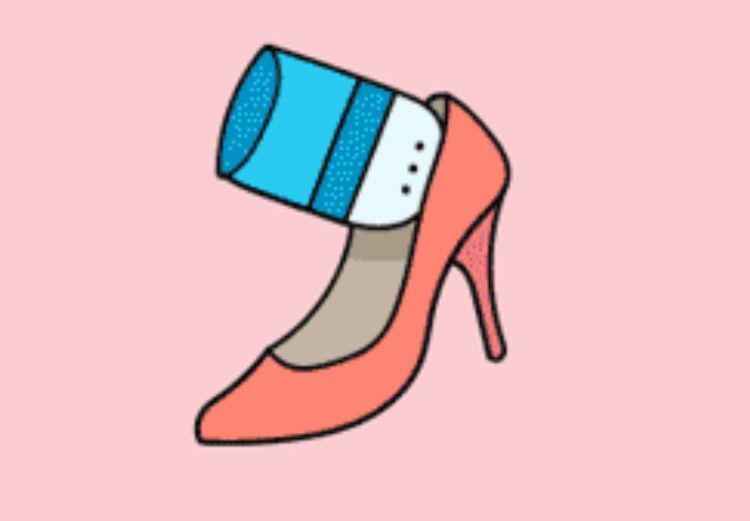 First, slip on a thick pair of socks and then the heels. Aim a warm blow dryer on the offending area for 15 seconds. 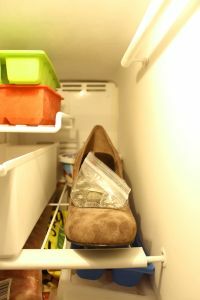 Allow to cool before removing the shoe. New shoes are often a bit slippery, especially if they have leather soles. Get a better grip on the ground by simply placing a few pieces of duct tape to your soles. The rubbery surface of the tape provides an instant fix to a slippery situation. Canvas shoes, such as Toms or Keds, complete your casual look. However, they don't protect you from unexpected rain showers. 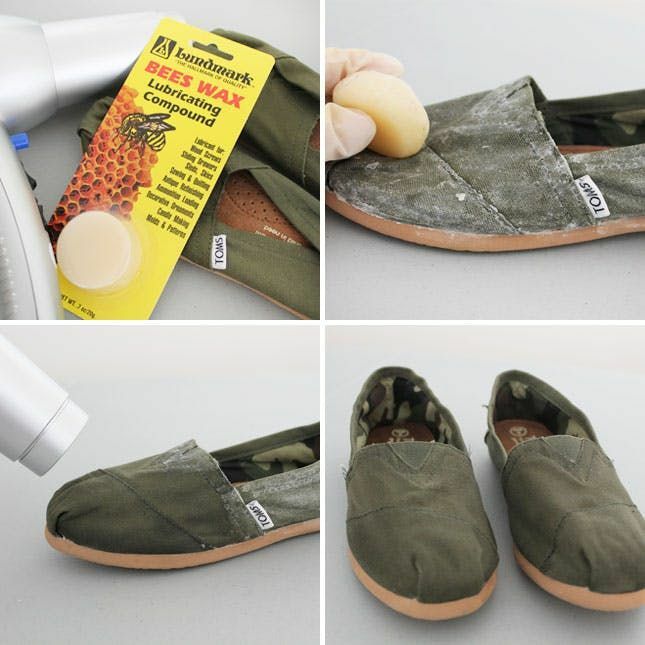 You can waterproof your canvas shoes quickly and easily with beeswax. Rub over the shoe, then set with the heat of a blow dryer. As an added bonus, the beeswax also helps protect your shoes from stains. 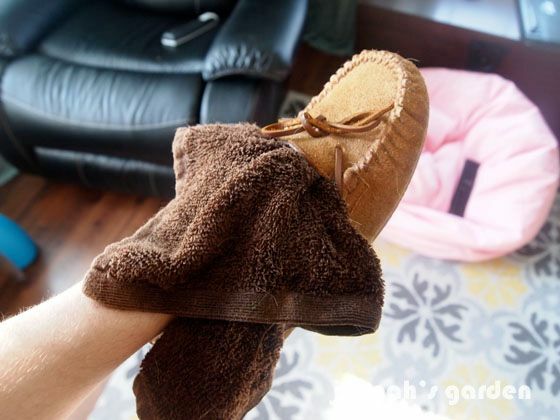 The fleece lining inside boots and slippers can get extremely funky smelling over time. To clean the inside of your smelly shoes, grab a few wash cloths and your dish soap. Dampen the wash cloth and add a few drops of dish soap. Rub over the inside of the shoes. Then repeat with a clean, damp cloth to remove the soap. Allow to air dry. The solution to stinky sneakers can be as simple as slipping a homemade shoe deodorizer in after wearing. Create your own by mixing equal parts of baking soda and arrowroot powder. Add 20 drops of your favorite essential oil. 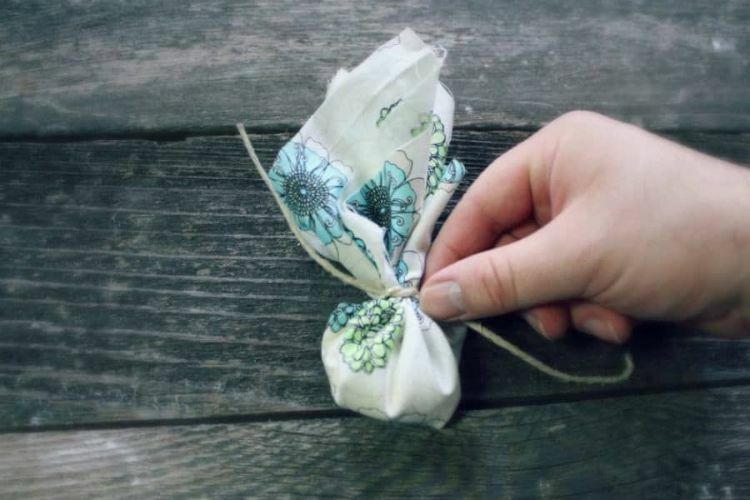 Place the mixture inside squares of fabric and tie into bundles. You can add a few drops of oil to each deodorizer as needed.